Dessert Darling Golden Cherry for the BEST Vanilla Ice Cream by Three Twins Ice Cream | Dessert Darling the Golden Cherry, even though the Golden Cherry Awards aren’t technically until December. I mean, lord knows I’ve had enough ice cream in my day to know a winner when I taste one. Wow- fresh, delicious, creamy, comforting, and made with whole, organic ingredients?! A Home Run!!! Sure, Häagen-Dazs has a great vanilla too, but their dairy has disgusting Growth Hormones in it, which puts it on the skull-and-bones list as far as I’m concerned. 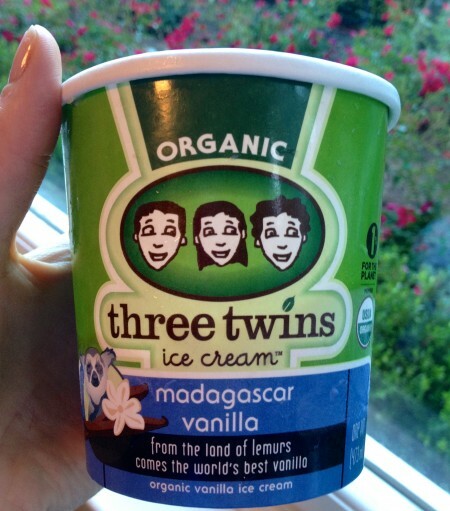 Thank goodness for companies like Northern California’s Three Twins for still making food with actual food, and chemical free ingredients!! For more information on Three Twins Ice Cream, click here.